A guide to electrifying your home. If we want to decarbonize quickly and run much as possible on renewable energy, we need to electrify everything. David Roberts at Vox coined the term and explains it in more detail here. This article lays out a path for consumer electrification from a home performance expert's perspective. The "electrify everything" campaign seems to have it all: a simple concept; broad industry and scientific consensus; a snappy name; a fast path off of fossil fuels and into renewables; and a politically neutral approach. Better still, it helps grow renewables by expanding the grid, which has seen little growth in the last 10 years. While renewable energy may not be the cheapest energy, it is usually the cheapest new energy. Electrifying space heating and cars will increase electricity demand, and hence renewables deployment. I speak from experience, as we are actually executing "electrify everything" projects in Cleveland, Ohio, a city with a market that is not optimal for electrification. We’ve removed seven gas meters by electrifying Cleveland-area homes, including space heating. The first four were all built before 1920. Demand is very powerful, because it can largely override policy. New and better technology shouldn’t require huge policy pushes. Cars, refrigerators, smartphones and many other technologies were adopted because they made life better. In short, they were cool, and often these technologies became status symbols. If we want fast adoption of the "electrify everything" concept, we really need to focus on making it something consumers want. The good news: Electrification really is better. The last decade has brought an extraordinary series of advancements for consumers. Cars: Tesla has made electric vehicles not only good, but status symbols. I’m a lifelong car guy; I drove You You Xue’s Model 3 and loved it. The driving dynamics reminded me of a BMW 3 series, the benchmark of sporty near-luxury cars. Cooking: Induction electric cooking is a better experience than cooking with gas. It’s also the keystone to electrification. 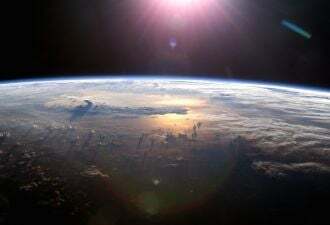 Space heating: New cold climate air source heat pumps make it economically viable to replace furnaces in much of the U.S. They can provide better comfort, which is the key selling point. Water heating: Heat pump water heaters now have lower operating costs than many gas water heaters. They don’t carry carbon monoxide risk and offer more locational flexibility since they don’t require a flue. Energy: Solar and wind are now the least expensive energy sources in many markets, even for home heating. We don’t need new technology to electrify everything. Everything we need is already available today. Comfort is a surprisingly large driver of "electrify everything" projects. Are there any rooms in your house that are more than 2-3 degrees different from each other? You likely have some home performance problems. Solving those may be the seeds of an electrification project. My favorite "electrify everything" example is Paul Schultz, the owner of the 1900 House of the Future project. Paul is retired from Cleveland Public Power. He’s a jovial guy with a hearty laugh who brings a smile to my face every time we talk. Paul and his wife Tammy bought the house, located in the neighborhood he grew up in. He told me he wanted it to be very comfortable yet affordable to operate. The house is small, at 1,300 square feet. There is no furnace small enough to heat it comfortably, so we suggested a heat pump instead. Since we weren’t going to use gas for heating, it made sense to electrify and save the $325/year meter fee. Bravely, he went along for the ride despite some ribbing from his electric company colleagues. Thankfully, it paid off. In Paul’s words, “Tammy and I are extremely satisfied with both the comfort and energy costs of our home.” Cameron Taylor, an HVAC expert who visited Paul’s house, declared that the home has “womb-like” comfort. This is thanks to the house being reasonably airtight and having a variable speed heat pump that can match its output to how much heating or cooling the home needs at any moment. As GTM profiled, Justin Guay experienced a big comfort jump too when switching from an old wall-mounted gas furnace. “Going from that to the heat pump was like, this is amazing. The house is comfortable.” Comfort can’t be discounted as a key driver of the electrify everything concept. That’s how Amory Lovins’ line goes, right? If your water is hot and your beer is cold, you really don’t care how it got that way. You have no emotional connection to the technologies. There is one thing that you probably have an emotional connection to: gas cooking. Most consumers prefer gas. Electrifying everything requires removing the gas meter, and that means getting rid of the gas stove. This is by far the most difficult hurdle. I hear you — you’re skeptical. So was our client Lilli. She was adamantly against induction. We asked her to make the decision based on experience, not emotion, and she agreed to buy an induction hot plate. She completely reversed her position. Now she can’t wait to get rid of her gas stove, which sets off their indoor air quality monitor with the combustion gases it releases into the kitchen. She found induction to be very controllable (you can even do sous vide on it) and loves that her hot plate turns itself off automatically. We were stunned by her reversal! Perhaps you might do the same? Since gas cooking really could get in the way of electrifying everything, I highly recommend buying an induction hot plate and trying it. We’ve had good luck with the NuWave 2. That way you can experience the difference for yourself, and even begin having friends over to try it out. If you like the idea of electrifying everything, start doing it in your own life. Buying an induction cooktop is actually the second step, albeit the most important one, for eventually ditching your gas meter. The first step to electrifying everything is to buy renewable electricity. This shows utilities that there is demand for renewable electricity. Yes, you can argue that buying renewable energy credits is just an accounting game, but it’s how markets move: Demand creates supply. One phone call can wipe out one-quarter of your carbon footprint, and the market can essentially force renewable portfolio standards to happen. Next, as gas-powered appliances fail in your home, replace them with electric ones. Get a heat pump water heater, electric dryer, induction stove, and so forth. If you have an excuse, upgrade your electric panel to at least 200 amps. Consider running a 100 amp line to your garage for electric cars. The biggest and most difficult step is usually electrifying space heating. Make your home tight enough to heat with a heat pump and you can remove your gas meter. This usually takes some planning if you want to avoid shockingly high winter bills. My book, The Home Comfort Book, can serve as your guide to electrification. The first chapter (Home Comfort 101) is available free here. The last step is to advocate apolitically and let your friends experience how nice it is to cook on induction, or how comfortable and healthy your home is once you upgrade it. Stay off politics. Cooking, comfort, efficiency and renewables are all bipartisan. That way, we can create demand. If you want more detail, read 7 Steps to Electrify Everything. The first section above is a bit Pollyannaish. Justin Guay experienced the morass caused by contractor fears and outdated incentives. He had to fight his own fears as well. Contractors rule the roost on electrification. If they are afraid of a technology, nothing will happen. They don’t want problems and callbacks, so they’ll default to “we’ve always done it that way.” It’s not their fault, as they’ve been burned plenty of times by new technology. Even with a load calculation (which determines how much it takes to heat and cool a home), we had to take extreme measures with a contractor to have the heat pump we specified (and which they bid on) actually installed. The supply house recommended that the unit be upsized, so the contractor was worried that it wouldn’t heat the house. The fear was so intense that it took the biggest confrontation of my career to get the right heat pump installed. That heat pump is performing admirably. It’s in the 1918 House of the Future, and it barely used any resistance heat through the cold snap of 2017-2018. See for yourself: Here’s daily data through the cold snap of six projects, five of them electrifications. If I had that much trouble executing an electrification project, do you think most homeowners are going to electrify everything, or will they cave to the contractor’s fears? If contractor fears are not slain, the electrify everything campaign will grind to a screeching halt. Contractors will scare consumers off of electrification. Guay had to push shockingly hard to electrify his home. Few homeowners would push through those obstacles. Contractor and consumer risk must be reduced by showing a clear path, providing case studies, and training how to do it step by step. Check out Chip and Dan Heath’s book Switch for more on that. Better yet, track projects and create a competition among contractors for who can electrify the most homes with the best comfort and energy results. Efficiency programs could step in to track energy use from these projects. Programs collect enough data to reduce fears, learn best practices, and teach them. I proposed these features in the One Knob program design in 2014. Unless we dispel myths about electrification, nothing is going to happen. Heat pumps are probably the hardest change from a contractor perspective, while induction cooking is the hardest change from a consumer standpoint. 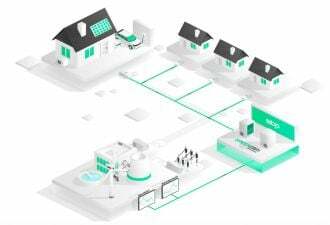 Fail to alleviate contractor and consumer fears, and the electrify everything movement won’t see the fast adoption curve that we want and need. Electrification is still scary. Even small barriers can slow or stop it. Today’s policies and incentives were created before inexpensive renewables and delightful new technologies like cold-climate heat pumps and heat-pump water heaters. Consequently, most policies lean toward fossil fuel technologies. Here are three principles to help guide new policy. Fuel agnosticism: Currently, energy efficiency funds collected by a gas company can’t be used by the electric company in many areas. The funds often can’t be used for fuel-switching. Electrifying everything constitutes a type of fuel switch. Consumers and contractors are likely to continue the status quo. Instead, let’s create one fuel-agnostic pot for efficiency and decarbonization dollars. Then use those dollars to pay for what the utilities need: peak load reduction, load shifting, DERs, etc. Don’t specify how those objectives should be achieved; simply pay what they are worth, then measure to see if they showed up, and finally, publicly rank contractors on realization rates. 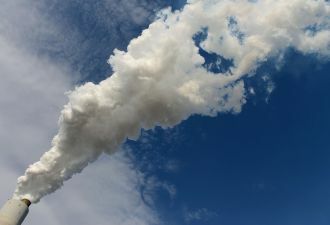 Put a price on carbon: This is a huge can of worms, but putting a price on carbon will make renewable energy and electrification wildly competitive. As we’ve seen, upgraded and electrified existing homes are already operationally cost-competitive with natural gas heating, so a price on carbon will help accelerate the transition. Thankfully, it’s possible without carbon pricing, since that’s a heavy lift, politically. Use efficiency to create real home value: A major current market barrier is that there is no transparency of energy use or energy cost at time of home sale. Homes that use less than their comps should be worth more, but they aren’t presently. Two of our clients sold their homes and received no value for the home performance projects they had completed, wasting over $15,000 at each home. That’s unacceptable if we expect the electrification market to grow. In 2016, I argued for the metric "energy use intensity" as a good top-level measurement for turning efficiency into real value. EUI is total annual energy use divided by square footage. Putting our money where our mouths are, we’re building a calculator that only requires three inputs: square footage, annual electric use and annual heating fuel use. It’s still a bit rough around the edges, but here’s what the output looks like for one client. Can you begin to see how utility costs vs. comparables could lead to efficiency being valued? This should help value solar PV as well. Critically, this doesn’t require a home visit by a professional, only energy usage and square footage. Since it’s not an asset score or a certification, these are real metrics that banks are likely to lend against if they become widespread. You may want to grab your utility bills and try it out yourself. Play with the inputs to see how they could affect the value of your home. All constructive feedback is welcome. Policy has a big role to play, but if we can create real demand for electrification and dispel myths, policy will supercharge adoption rather than driving it directly. Creating demand and reducing fears is something you can do personally. Advocate apolitically as you apply "electrify everything" in your life. There’s a little alliteration for your day. Buy clean electricity. Show others how. Buy an induction hot plate. Let your friends use it. Start replacing gas appliances. Talk about it. Buy an electric car. Insist that friends drive it. 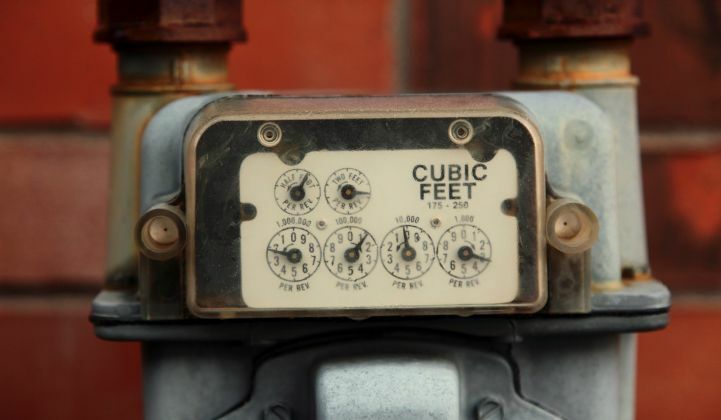 Plan how to get rid of your gas meter with a home performance project. Execute the project and remove the gas meter. Have friends stay the night after a wild night of cooking in your super-comfy and healthy electrified home. Together we can do this. All the tech we need is here today. What step are you going to take today to electrify everything? Nate Adams is the author of The Home Comfort Book, which shows how homes really work so that root causes can be addressed to create comfortable, healthy, long-lasting and efficient homes. The material in the book came from executing projects in his Cleveland, Ohio practice, Energy Smart Home Performance, which diagnoses and treats home problems for clients. Energy Smart has the most in-depth home performance case studies you will find. Nate’s mission is to make U.S. homes better places to live while electrifying everything.